Please complete the form below and your enquiry will be sent directly to Aerobics Marathon Opening via email. Your enquiry has been sent to Aerobics Marathon Opening. Presented by Sxolies Aerobics Club! 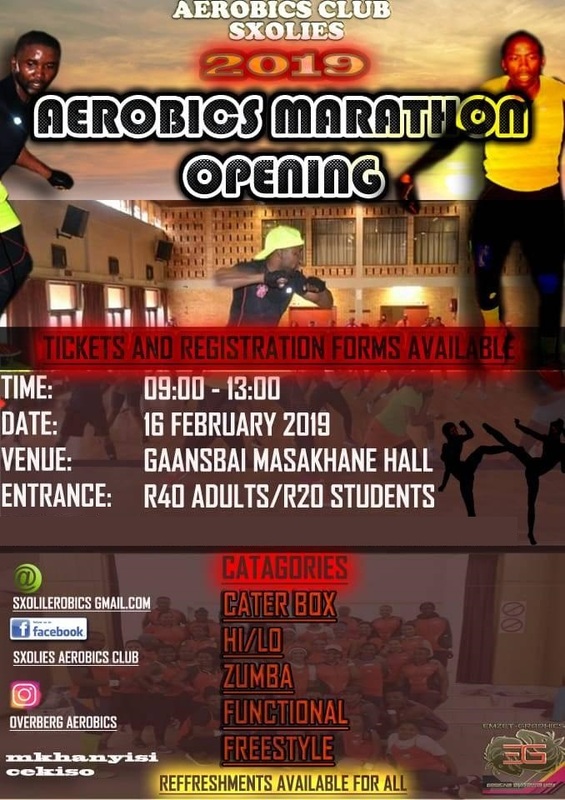 Entrance fee is R40 for adults and R20 for students. There will be refreshments for all! Contact Mk or Keke for tickets and registration forms (contact details below).